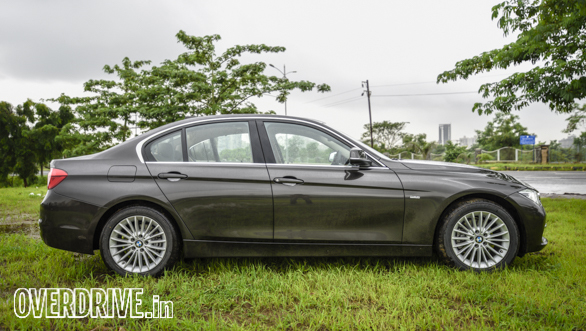 The 3 Series is a popular sedan from BMW, and you see quite a lot of them on Indian roads. It's been around for a while now, but regular cosmetic and feature updates make it a sensible choice even today. 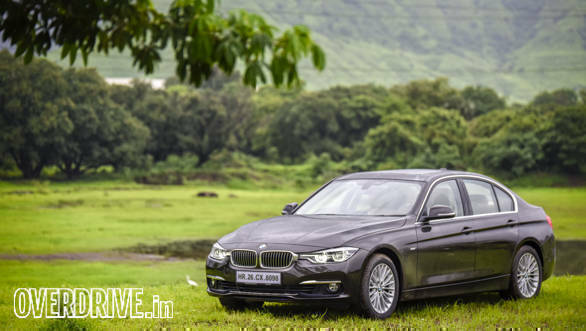 BMW India hasn't stopped from offering further updates - the latest being the addition of a new variant, the 320i. The car doesn't get any styling updates from before; it's a smart and sporty design. There are two trims on offer - Prestige and Luxury Line. There is no Sport trim like in the other 3 Series models. 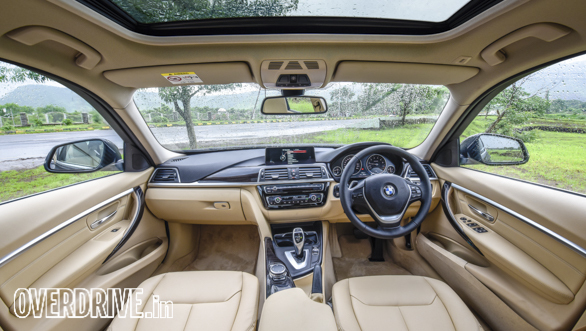 The major highlight in the 320i is its motor. The car gets the latest-generation petrol engine part of the BMW TwinPower range. 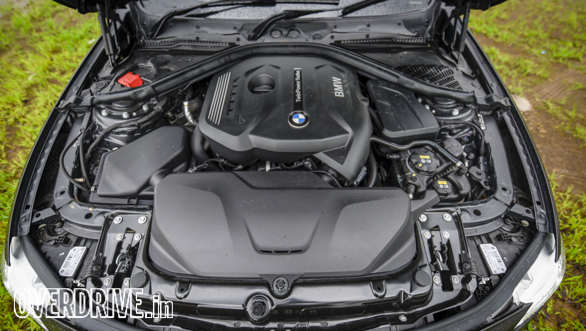 Unlike the 320i offered before the previous generation 3 Series, the current model gets a turbocharged motor that is claimed to be a lot more powerful and at the same time more efficient. The 2.0-litre, four-cylinder engine produces 184PS and 270Nm of peak torque. This makes it as powerful as its closest competitor. To give you a better understanding, the Mercedes-Benz C 200 produces almost the same power but more torque (183PS and 300Nm). It is a very refined unit and the most silent 3 Series we've come across so far. At idle as well as slower moving speeds, the engine is barely audible. It's only when you give it the beans that the motor makes itself heard. It's not a very addictive note but can still keep the driver engaged. While we love the 328i, thanks to its more powerful 245PS petrol motor, the 320i is still quite a performer on paper. We don't test cars on paper though. On the road, it comes nowhere close to matching the 328i's performance. However, it will cross the 100kmph mark in 7.8s; this makes it quicker than the Mercedes C 200 and only 1.3 seconds slower to the bonkers 328i. However, from behind the wheel, the car doesn't feel as eager. The turbo spike is missing and it actually feels more like a naturally aspirated unit. This is a positive when it comes to drivability, but gone is that eager and ready to pounce character. Fuel efficiency is respectable for a 2.0-litre petrol. In town the 320i returns 9.7kmpl and a higher 16.3kmpl on the highway. This translates to an overall figure of 11.35kmpl. The claimed figure by BMW is 17.61kmpl. 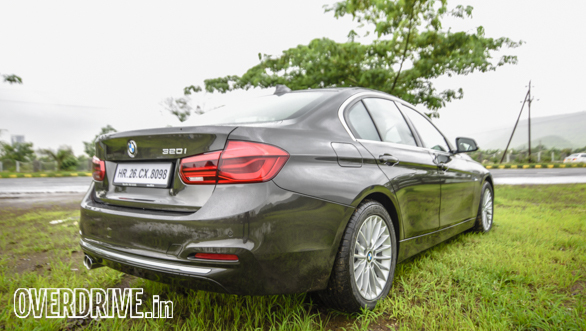 While we still miss the 328i, the 320i is the only petrol 3 Series on sale in India. It combines the smart design and impressive dynamics of the 3 Series with an efficient yet powerful engine. The two trim levels offer quite a few features; the latter as you see here gets additional comfort features. While the Prestige trim is priced at Rs 36.9 lakh, the Luxury Line can be yours for Rs 42.7 lakh, ex-showroom, pan India. This makes it priced on par with its diesel sibling despite being a CBU. Does it make sense over the diesel? While the 328i was the enthusiasts' choice, the 320i isn't. 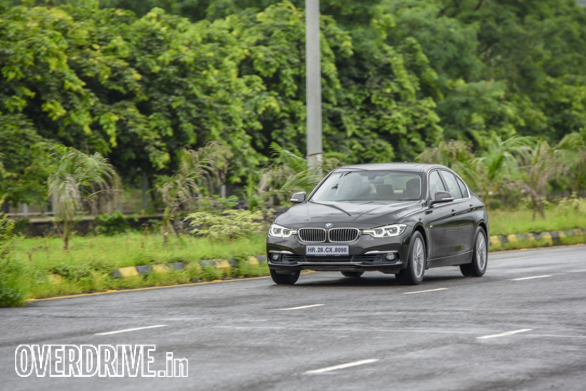 Even the diesel 320d is as quick and offers more torque at a lower speed too. The diesel is also more efficient and economical to run. It is even priced the same! A no-brainer, really.